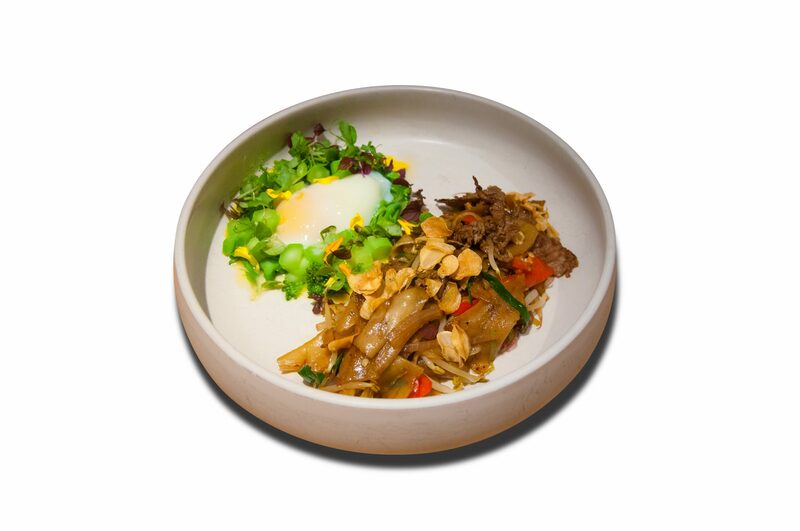 A recent addition to our menu, our chef’s beef hor fun is Singapore’s only stir fried hor fun served with succulent and tender pieces of Hokkaido Snow Beef and an egg done in Sous Vide style! Many diners visiting 63Celsius at Paragon have come to love the distinct wok hei taste of the hor fun, coupled with the rich flavors of the Hokkaido Snow Beef. The chef first stir-fries the hor fun in our Josper Grill untill the nicely charred flavor emerges. Succulent slices of snow beef are then added together with condiments. The beef’s A4 grade makes the beef a perfect complement to the Hor Fun, the marbled beef pairing perfectly with the wok hei taste of the hor fun without overpowering the whole dish. Did you know that the hor fun is stir fried in our specially installed Josper Grill? Please call 6100 6363 to make a reservation.